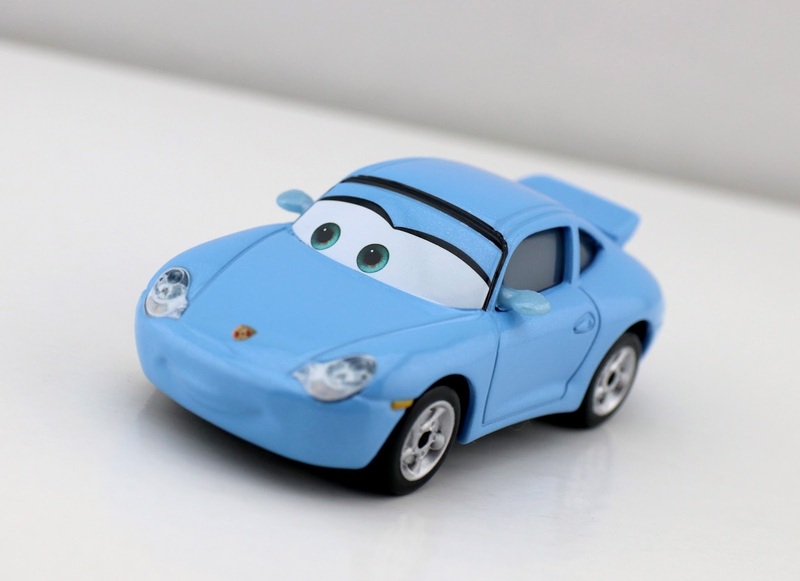 Continuing on with the new wave of 2018 "Radiator Springs Classic" Cars 3 Toys R Us exclusive singles, tonight I'm taking a look at the brand new Sally with Tattoo! 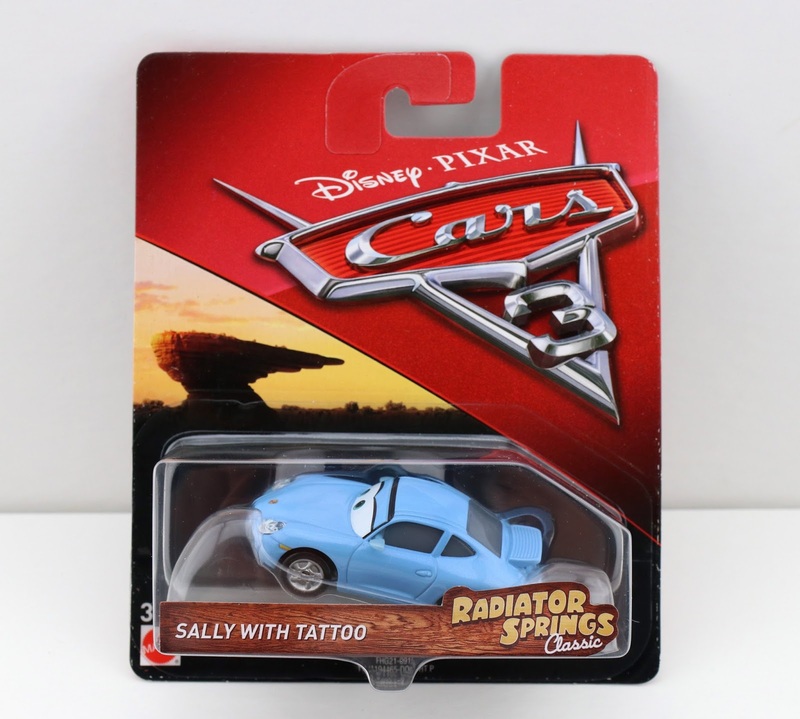 Though this is labeled "Cars 3" on the cardback, this version of Sally is most definitely based on her memorable "little pinstriping tattoo" moment from the original film (screen shot above). 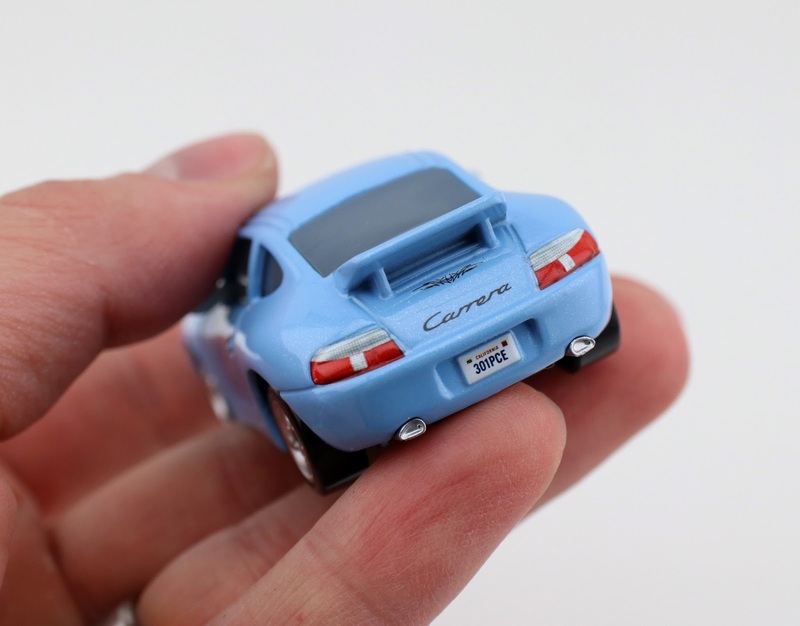 As usual, this is a 1:55 scale diecast from Mattel. This version 100% wins for being the better of the two! For me, there were enough differences and improvements for me to justify getting this (even though I probably have more than enough Sally diecasts). Check her out in more detail in my loose pics below. Looks so good! Like always with the Sally diecasts, I love her subtle glittery paint (it's hard to see in the photos, but look closely). Whether you have the original Sally with Tattoo already OR you're needing this version of the character for the first time, I recommend picking this one up if you see it! It's a perfectly executed diecast. Be sure to check your local Toys R Us ASAP for availability!